I got a sample of these from the event of Philbeauty 2017. There's a lot of brands during the event and I had a chance to visit all of them. Brands showcasing their products, I bought some items as well because some products are not yet available on Philippines Market and some products are priced lower than mall price - distributor price. Serlando is a professional skin brand from US that started in 1997. In 2015, in cooperation with Germany, Taiwan and South Korea, the brand launched a series of function skin care products. 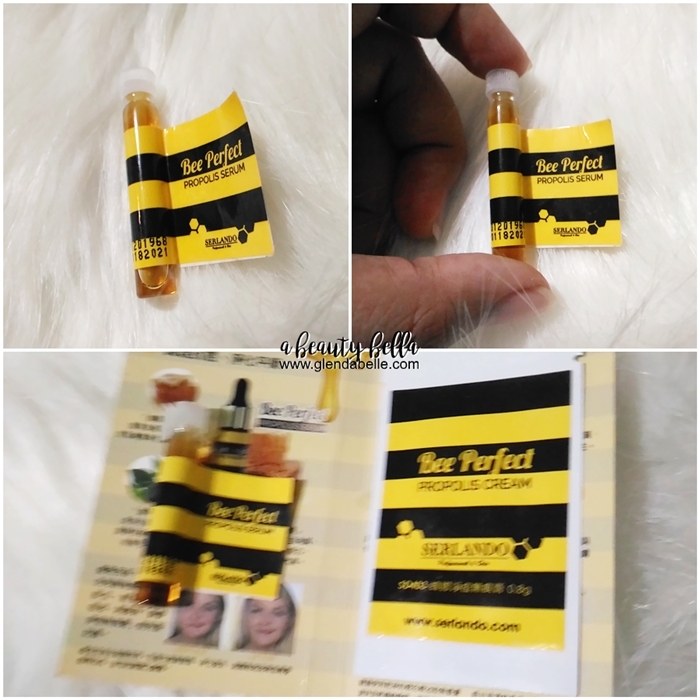 I bought Serlando Rosy Pink Moisture Dew and I got a sample of Serlando Bee Perfect Serum and Cream. Propolis is a new word for me, and it's just today I decided to try them - a bit scared as well. It's my first time to try this sample, I'm currently in the mood to empty my sample stash before they expire - even tho these Serlando Samples will expire around by the year 2021. 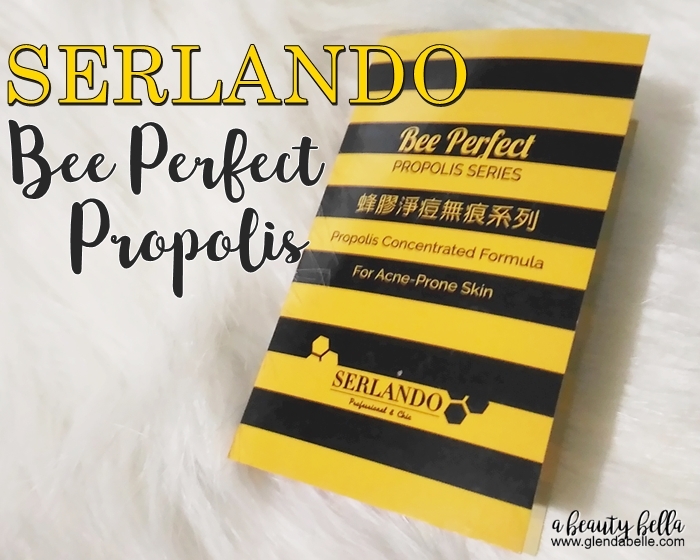 Propolis is a mixture produced by Honey Bees. Propolis is used as a sealant in their hives to protect from outer intruders such as virus and diseases. Propolis enabled to make the hive the cleanest place in nature by inhibiting fungal and bacterial growth. Allantion - moisturizing effects that help create a smooth and healthy skin. I find the sample good for 1-2x use, my first impression for the serum when I first applied it, it does sting for like 15 secs - applied on one side of the cheek. Then completely feels nothing after a minute. My skin absorbs it completely, and no immediate changes in appearance at all. For the Cream, it looks like a concealer cream when applied on my pimples. No changes yet after 1st application, but itchy feel on some pimples did subside. Honestly, I can't provide full feedback right now, these are my first impressions on the samples which are used once only.